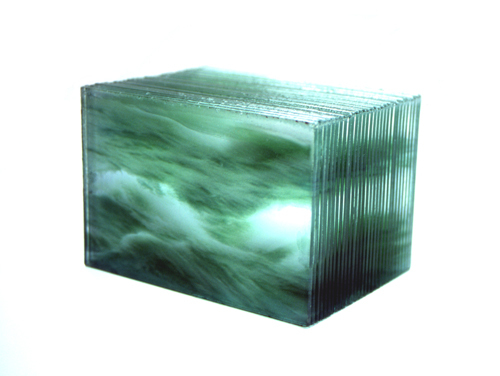 Thirty sheets of clear acrylic with a different photographic image on each one are sandwiched together, forming a solid block. The images are the thirty video stills that make up one second of footage, arranged in order from one to thirty. The video was taken at Niagara Falls, Canada, of the water just before it runs over the Falls.